And so the end came and went. Though it is heartbreaking to see Z Nation end and so suddenly at that, I feel like this was the perfect timing. The show did begin to wear out its welcome, and I'm sure the writers knew this as the finale ended in the most perfect way. 'The End of Everything' was basically Team Bite Mark putting their plan to take down Estes and Pandora into action. I love how they left viewers in the dark about what exactly this plan was, and so as it unfolded we were as surprised as those in Altura. It would have been nice to see everyone in on the action though. Murphy and Addy's role were kept to a minimum as they basically just guided the Talkers back to Altura. Doc and 10K were the decoy baiting the Altura soldiers away from Altura into the former Talker camp where 10k would snipe them off one by one. Other than that, there was not a whole lot of Doc and 10K in this episode, either. The finale was basically a showcase for George, who was a character I never liked as much as they would've liked us to, being that she was only just introduced this season. Nevertheless, her fight scene with Pandora was tense. Actress Lydia Hearst really owned the role of Pandora and her performance was, at times, chilling, especially when she revealed what was behind the mask. The antagonist would eventually get her comeuppance in a very brutal scene. Estes was also a memorable villain whose monologue was well delivered and there was even some understandable rational in it as twisted as his methods were. Humans need to survive and the lithium Talkers needed was putting a hindrance on humanity's survival. Echoing the us vs. them attitude that continues to plague society in the real world. Ultimately, Estes went out on a whimper as we learn he was taken into custody and that was it for him. The return of Cooper (Mario Van Peebles) was a surprise. His scene with Warren at the end was very touching and the reveal she had died after the crash in back in episode 1 of this season and had come back to life was absolutely jaw dropping. Overall, it was a solid finale. 'The End of Everything' wasn't as exciting as some of their other dramatic heavy episodes, 'White Light' back in season 2 in particular, an episode that remains my favourite throughout the entire series, but it wrapped up satisfyingly. The last shot of Murphy eating Sun Mei's brain to get the secret to the cure, and then zooming in on his face, was the absolutely perfect shot to cut to black. 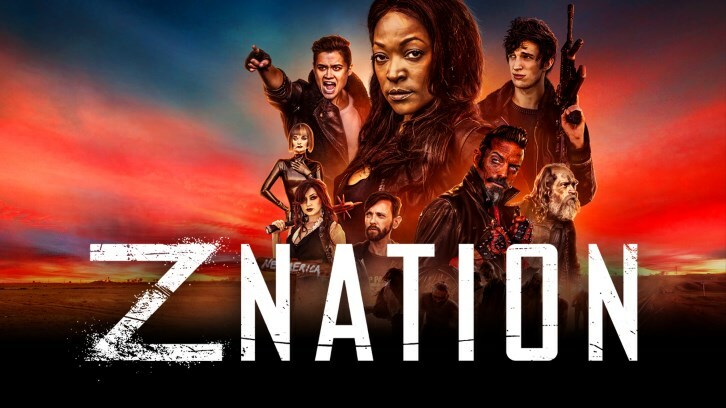 It had been quite the ride covering Z Nation over these 5 seasons. The show was far from perfect, but that was the whole point. Z Nation was a stupidly fun show that went farther than I expected it to and I have no regrets sticking through with it from beginning to end. Bring on Black Summer!